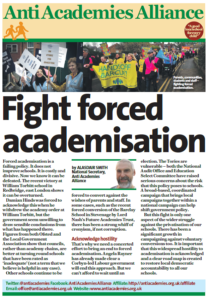 In March this year, Brighton & Hove City Council, without any consultation with the local community or teachers, announced that they had asked the University of Brighton Academies Trust to open a free school. 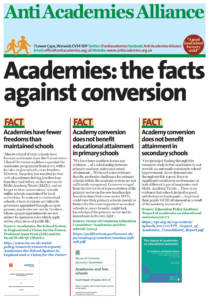 Posted in News, Research, Resources, Top story	| Tagged Free Schools	| Comments Off on Free Schools – Show us the evidence! Hank Roberts, Union representative on on Brent Schools Health and Safety Committee has riased serious questions about safety at the Michaela Academy Free School in Wembley Park which opened in September 2014 but is still undertaking building works on the building while it is occupied by the Year 7 children. This evening, plans for a new free school in Brighton will be thrashed out by councillors. 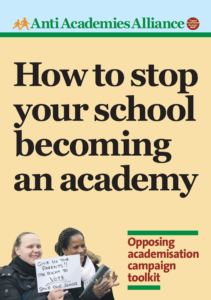 Posted in Media, News, Top story	| Tagged Free Schools	| Comments Off on Debate: Are free schools a good move for our children?